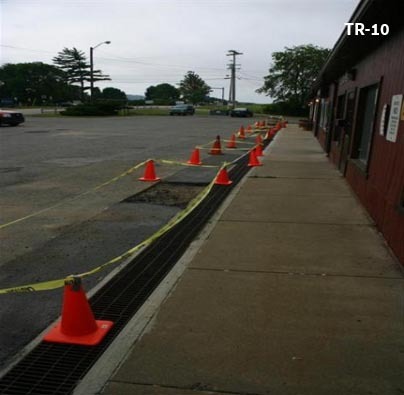 Our precast trenches are perfect for draining water from driveways or walks. 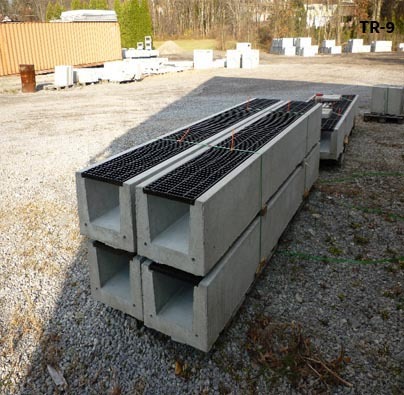 They are reinforced with 1/2" rebar and are available in 5' and 10' sections. 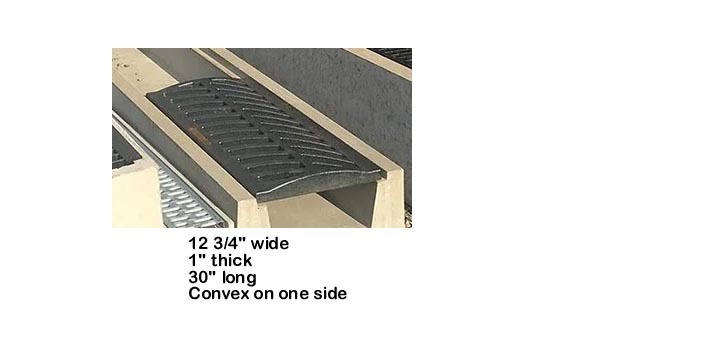 Trenches can have grating 12 7/8" wide and 1" thick. 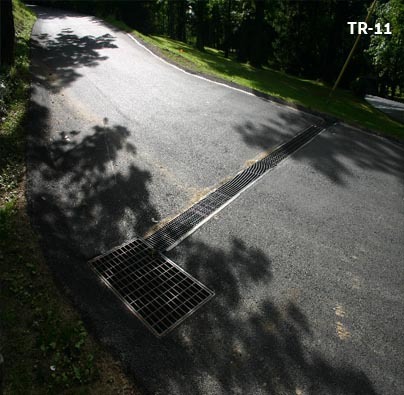 Trench drains are suitable for sports fields, pedestrian areas, court yards and car parks. 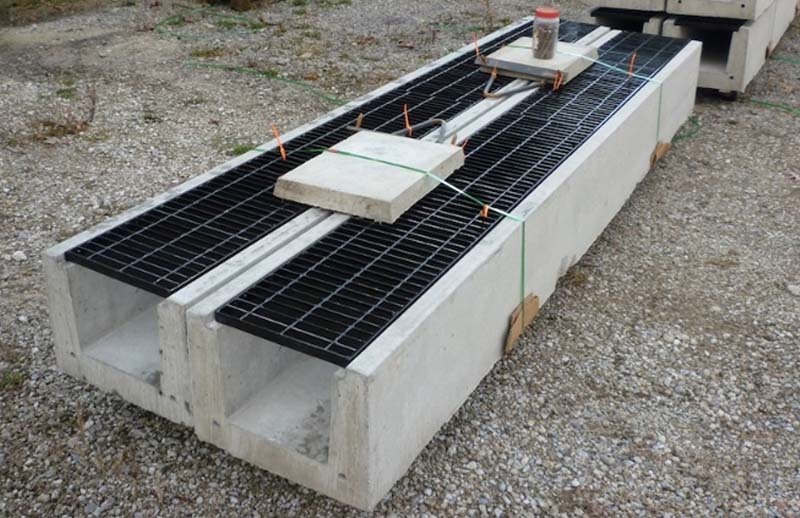 The grates are held firmly in the channels, avoiding jamming between the adjoining surfaces. 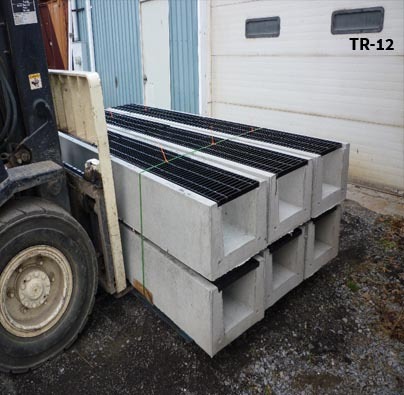 The precast trench drain body that has flow rates superior to cast in place trenches. 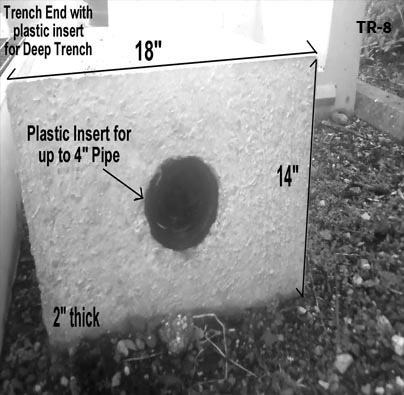 The 5' or 10' trench drain section lengths make installation fast and help keep installations straight and true. 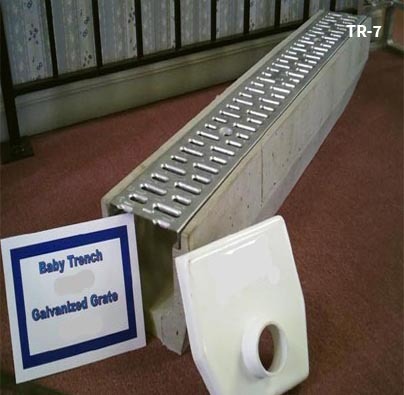 Our trench system is offered in all common trench drain widths and any desired slope.